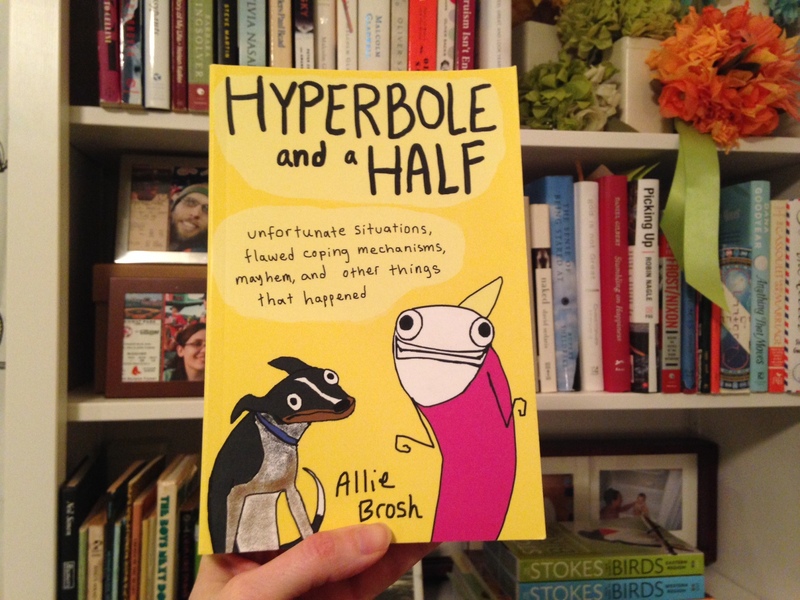 My friend Nikki introduced me to Allie Brosh and her blog, Hyperbole and a Half a couple of years ago. She is a genius when it comes to relating what it’s like to suffer from depression. And she’s hilarious. Which may seem like a counterintuitive pairing, but ends up being the perfect mix of melancholy and honest. Plus, I can totally relate to “flawed coping mechanisms.” The book is not solely focused on her struggle with depression, there’s a particularly funny story about a rogue goose that made its way into the house and terrorized Allie and her husband. Pure comedy gold.